One of the most enthusiastic countries in the Eurovision family is Israel. With their big efforts the could win three times already! The Israeli entries often followed a special rhythm and choreography, so that it was easy for the spectators to point out the Israeli song. But from time to time, every country would like to do a step aside and risk something. 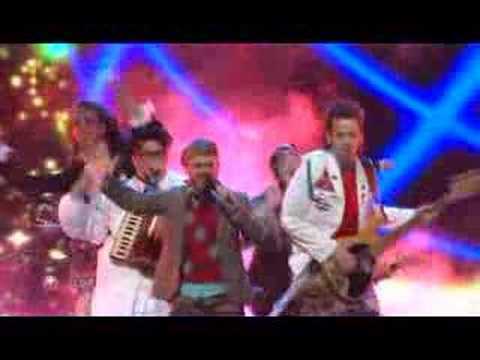 Like last years winner Lordi for Finland. It was something completely different, compared to the other Finnish entries. This year Israel is bringing the probably most provocative song called “Push the button”. Rumors said that this song should be disqualified. This song is political influenced, but the EBU checked all the points if a song is allowed to participate. Germany also got it one and only victory with a political influenced song called “Ein bißchen Frieden”. The Israeli song is rocky, fast and it has to qualify for the final.